Joseph Steele, senior partner in the high-profile personal injury law firm Siegfried & Jensen, will tell you that combined decades of experience made him and fellow attorney Matthew Garretson the natural choice to help represent the State of Utah in a massive class-action lawsuit against the makers of the drugs Zyprexa and Vioxx. Steele waged whopping lawsuits against asbestos-company bosses in the ’80s. Garretson, an Ohio lawyer, has vast experience in fighting Medicaid fraud. What else might explain why Utah Attorney General Mark Shurtleff made a beeline for them when hiring help on the cases? 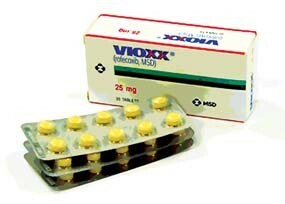 Thousands of plaintiffs across the country have alleged both Zyprexa and Vioxx caused serious side effects their manufacturers intentionally hid from consumers—an increased risk of heart attack with the arthritis pill Vioxx, and dangerous weight gain with the widely prescribed antipsychotic Zyprexa. Several states have joined a lawsuit, hoping to win damages on behalf of people who took the pills—many of them poor, homeless and recipients of Medicaid. In pursuing action against these drug makers on behalf of the state of Utah, Shurtleff had to hire lawyers beyond his own staff to help fight to recover money for the state’s Medicaid program. The payback may be upwards of tens of millions of dollars. With experienced law firms to choose from in Utah and across the nation, ultimately Shurtleff didn’t need to look any farther than the back of the phone book. Shortly before Siegfried & Jensen’s Steele secured the contract, the firm hired Ambra Gardner, Shurtleff’s daughter, to work as a paralegal. She came to the job with no previous experience, sources say. For less than a year, she was the top paralegal in the firm’s mass-torts division, working on cases like Zyprexa and Vioxx. But a question remains: Was Steele’s firm the only firm to get the job done because it was the only one offered the job? Instead of opening a bid process where competing firms would pitch their expertise to the state, the lucrative prescription-drug-case contracts were awarded on a no-bid basis. Deputy Attorney General Raymond Hintze, Shurtleff’s point man on Zyprexa, says the Attorney General’s Office was only in contact with five firms as potential candidates. Hintze also says his office approached only one firm directly as a potential hire; the other four approached the state after hearing about the legal auditions through the professional grapevine. Siegfried & Jensen’s Steele headed up one of these efforts through the affiliated Garretson Steele law firm, which would subcontract help on the state cases to several other Siegfried & Jensen attorneys—including founding partner Mitch Jensen. Arguing the awarding of the contract solely on merit and legal experience, Steele did not mention the fact that Siegfried & Jensen has provided a steady flow of campaign contributions to Shurtleff’s re-election effort in the past two years. Campaign finance disclosure forms show the firm donated $30,000 since 2006, when the state contracts were granted. Another $5,000 came to Shurtleff in the months just before the contracts were formally signed—approximately the same time period his daughter was hired. Maybe these near-simultaneous events—the generous campaign contributions, his daughter’s employment and the awarding of the legal contracts—were simply a bad coincidence for the attorney general. “The bottom line with Zyprexa,” Steele says, “is that it causes excessive and uncontrollable weight gain, sometimes 100 pounds.” Lawyers allege that the weight gain led to diabetes and its hazardous side effects—from blindness to loss of limb function requiring amputation. These allegations surfaced only 10 years after the drug had been on the market, prescribed to help consumers manage psychotic episodes brought on by mental illness. One of the biggest buyers of Zyprexa was Medicaid, which Steele estimates accounted for 70 percent of the drug’s business by covering prescriptions for many low-income and homeless people who could not pay for them. Not only was Medicaid buying the drug by the truckload for years, according to documents in the case, the program was also unknowingly paying to treat the drug’s side effects appearing in consumers. “In the heyday of Zyprexa, say between 2003 and 2005, you’re talking about a drug with about $4 billion worth of sales,” Steele says. “That’s billion with a B.” He was part of the band of attorneys that staged a critical battle against Zyprexa manufacturer Eli Lilly in spring 2008 in Alaska, alleging the company intentionally concealed the drug’s dangerous side effects. Only a few days before the jury was to hear evidence, Alaska settled with Eli Lilly for $15 million. Several attorneys in that case were upset by what they considered a cop-out deal. According to Ed Sniffen, assistant Alaska attorney general, before a jury and under ideal circumstances, the state could have been awarded $200 million from Eli Lilly, rather than settling for a fraction of that amount. Eli Lilly’s counsel declared the settlement a “good result.” Comparatively, they had a lot of experience on which to base their settlement negotiations. While the Alaska case was the first settlement Eli Lilly had brokered with a state, by 2008, the corporation’s attorneys had already settled approximately 30,000 individual lawsuits from Zyprexa users for a total $1.2 billion. But for those lawyers outside the state disappointed with the Alaska attorney general’s low-ball settlement, redemption would still be at hand. While Alaska was the first state to sue Eli Lilly, it’s certainly not the last, as nine other states have begun litigation against the pharmaceutical giant. Utah is one of them. Steele estimates that if a comparable settlement were made in Utah to that of Alaska’s, it would mean at least $60 million. With that as a minimum and with hundreds of millions at stake if the case goes to jury, Utah could claim a bonanza in class-action damages. And the attorneys of Siegfried & Jensen working the case would get their bite. With a 15 percent contingency fee, Garretson Steele could take at least $9 million from a $60 million payment to the state—more if a jury favored Utah with a major damage award. CW: Hey Ray, yeah you guessed it—another follow-up question. Could you tell me why Ambra’s [Shurtleff’s daughter] employment at Siegfried & Jensen was not considered a conflict of interest? RH: You obviously are starting with the assumption that Attorney General Mark Shurtleff (individually or through his daughter) received some personal benefit or gain as a result of the state entering these contracts. So let’s address that issue. Ambra already had a job with Siegfried & Jensen before the contract was entered so there was no quid pro quo to get her a job. Ambra did not get a bonus, raise, or promotion or any other personal gain from her firm as a result of these contracts. She has since left the firm to have her first child and her relatively short employment ended shortly after this contract was entered. So that witch hunt should be over!! Just west of Interstate 15, off 5600 South, Siegfried & Jensen’s reception area is oblivious to the bustling freeway outside. Inside, the foyer is furnished with a luxurious, long mahogany coffee table and a tropical fish tank. An ornate glass chandelier hangs above potential clients waiting patiently with accounts of fender-bender whiplash and on-the-job accidents. A receptionist calmly fields phone calls, while directly behind her, paralegals gather around a copy machine and divide up job duties: organizing briefs, making copies and sending out mailings. As one of the largest personal injury law firms in the state, Siegfried & Jensen has four partners, several different divisions, numerous associate attorneys and as many paralegals whose job is to assist attorneys. 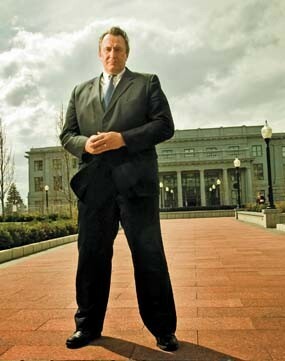 In late 2005, Attorney General Mark Shurtleff’s daughter Ambra Gardner, a young paralegal, joined the team. Attorneys say she was a fast learner and kept up with her duties in helping to keep the firm moving forward. It was an excellent starting position, and, even though Gardner had no previous paralegal experience, she handled the job well, sources say. Well enough, sources indicate, to be the paralegal in charge of mass torts. She reported directly to senior partners Joseph Steele and Mitch Jensen. The mass-torts division had plenty of work for Gardner. On Jan. 7, 2006, Steele landed two major contracts with the state. Steele would become special assistant to the attorney general in Medicaid fraud cases involving the drugs Zyprexa and Vioxx. These contracts brought work to Siegfried & Jensen’s Steele only a few months after Gardner came on as a paralegal. That would be Steele. “I think she could get a job in any office she cared to get a job at,” he says. Gardner worked at Siegfried & Jensen for less than a year, then left to give birth. “I wish she could come back, but she wants to spend time with her child, from what I know,” Steele says. Gardner could not be reached for comment. Senior partner Mitch Jensen recalls Gardner’s work. While she was on his team, the job required mostly clerical work, he says. “The paralegal duties with mass torts mostly involved obtaining medical records and forwarding them onto co-counsel,” Jensen says, adding that “part of her dissatisfaction with the job is there wasn’t room for growth.” The job may not have had potential, but Jensen concedes the attorney general’s daughter likely assisted Steele with the Zyprexa and Vioxx work. Jensen considers Gardner’s hire a moot issue in relation to the firm landing the state contracts. He does not think that several of his firms’ campaign contributions to Shurtleff in the months leading up to the contracts influenced the attorney general’s decision, either. Since late 2005, Siegfried & Jensen has given $35,000 to Shurtleff. According to campaign disclosure documents, they gave $1,500 in the spring before the contracts were signed while a $3,500 donation came three months before the Zyprexa and Vioxx contracts were inked in January 2006. A $10,000 donation rolled in during October 2006 followed by contributions of $5,000 and $15,000 in August and October of 2007. Siegfried & Jensen has supported numerous state legislative candidates, but most of the firm’s donations fall between $250 and $500. Between 2005 and 2007—when Siegfried & Jensen donated $35,000 to Shurtleff—they also spread $17,000 among more than a dozen legislative candidates. That amounted to less than half of what they gave solely to Shurtleff’s campaign. State documents show Shurtleff’s Democratic challenger Jean Welch Hill received no donations from Siegfried & Jensen. Between 2006 and 2007, three major state contracts would be awarded; two for the Garretson Steele firm for Zyprexa and Vioxx and an AWP contract to the Alabama firm of Beasley, Allen & Crow, et al. The contracted firms appear a step removed from Siegfried & Jensen. Yet somehow, Siegfried & Jensen attorneys managed to not only take part in the Zyprexa and Vioxx cases via senior partner Joseph Steele, but documents show its founding partner Mitch Jensen also appeared on court filings for the AWP case as an attorney for the state. What seems unclear is what role the various firms (Garretson Steele; Siegfried & Jensen; Beasley, Allen & Crow) have in the cases. The address of the Garretson Steel firm, for example, is listed as the same address for Siegfried & Jensen. But state incorporation records indicate an uncertainty about whether the Garretson Steele firm even exists. The AWP cases have been picked up by attorneys general across the country seeking compensation for allegedly overpriced prescription drugs. The cases are being brought almost concurrently with the Zyprexa and Vioxx cases, even though they are unrelated. Shurtleff says that Garretson Steele’s expertise was not necessarily part of the numbers crunching in the AWP cases. That is why Utah contracted these cases in 2007 to the Alabama firm of Beasley, Allen and Crow et al. Yet, on one of the first AWP cases that Utah brought—on Nov. 19, 2007—Garretson Steele is named as one of the special assistant attorneys general along with David Stallard of the Utah Medicaid Fraud Unit, and the Alabama law firm. Hintze explains the Alabama firm must have sought to contract out to Garretson Steele so it could sponsor the Alabama firm as out-of-state counsel. Local sponsorship allows out-of-state attorneys to practice in a state where they haven’t passed the bar. It’s perfectly legal for firms contracted with the state to subcontract with other lawyers. But, according to the contractual agreement Garretson Steele and the Alabama firm signed, any subcontracting has to be approved with written consent from Utah Attorney General Mark Shurtleff. While documents show Garretson Steele worked at sponsoring the Alabama firm to work in Utah, there are no filed consent forms with Shurtleff’s office. “Well, that’s not a big deal,” Hintze says. “We can generate [the paperwork] now if you’d like.” Since these documents were never created or signed, it becomes difficult to track down who else would share in the financial outcome of the cases. In an interview, Steele actually cited another firm of his, Steele & Biggs (a partnership with Siegfried & Jensen attorney David Biggs) as also working the Zyprexa case. But this firm has no authorized consent forms, either. Hintze notes that because Steele & Biggs were affiliates of Garretson Steele, they could act “of counsel” to Garretson Steele without consent forms for taking on part of the workload. There’s a problem here. In order for one firm to be affiliated with another, the other firm must exist. Steele says Garretson Steele is based in Salt Lake City and is registered to do business in Utah. But, as of press time, according to the Utah Division of Corporations, there are no business entities registered in Utah under the name Garretson Steele. A filing exists under the name the “Garretson Law Firm” in Cincinnati, yet this entity does not name Joseph Steele as a principal and had only reserved a name in October 2006. The name was never authenticated and consequently, had its filing cancelled in 2007. 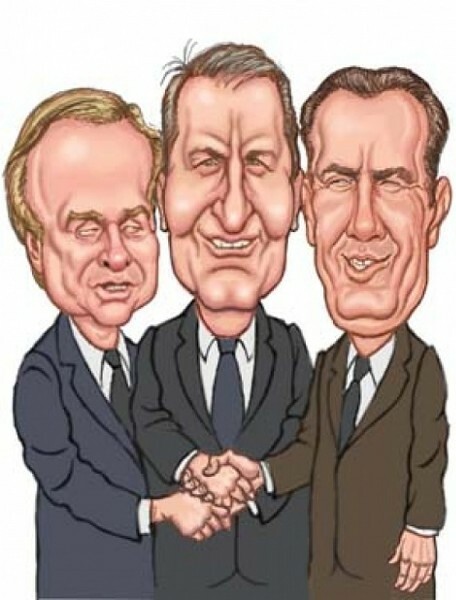 While Siegfried & Jensen’s name may not be on the state contracts inked by Shurtleff, at least two of Siegfried & Jensen’s senior partners, Steele and Jensen, have been involved in the Zyprexa, Vioxx and AWP cases. In an interview, Shurtleff says he wasn’t aware that Garretson Steele had a hand in the AWP cases. As deputy special assistants to the attorney general, Garretson Steele may be off to a rough start as a law firm if it managed to overlook incorporating as a business before it started litigating. When asked how the state signed contracts with a law firm that appears not to exist, Shurtleff’s Deputy Hintze chalks it up to a clerical error on the attorneys’ part.